Workaholism is TOTALLY UNNECESSARY and can destroy your physical and mental health. It’s a nasty cultural disease – You don’t know it’s happening. Over time you’re consumed with an intoxicating addictive drug called work. I used to be one until I crashed and burned out… That was my wake up call! Sobbing at work not being able to cope with the long hours and extra demands on them. Workaholics are alive and well and breeding at an alarming rate in the business world. The reality is that you WILL ultimately crash and burn. That promotion or pay raise may not materialise. Even if you think you’re coping okay now and your body is resilient. You might be creating long-term damage that will manifest itself later and even shorten your life. 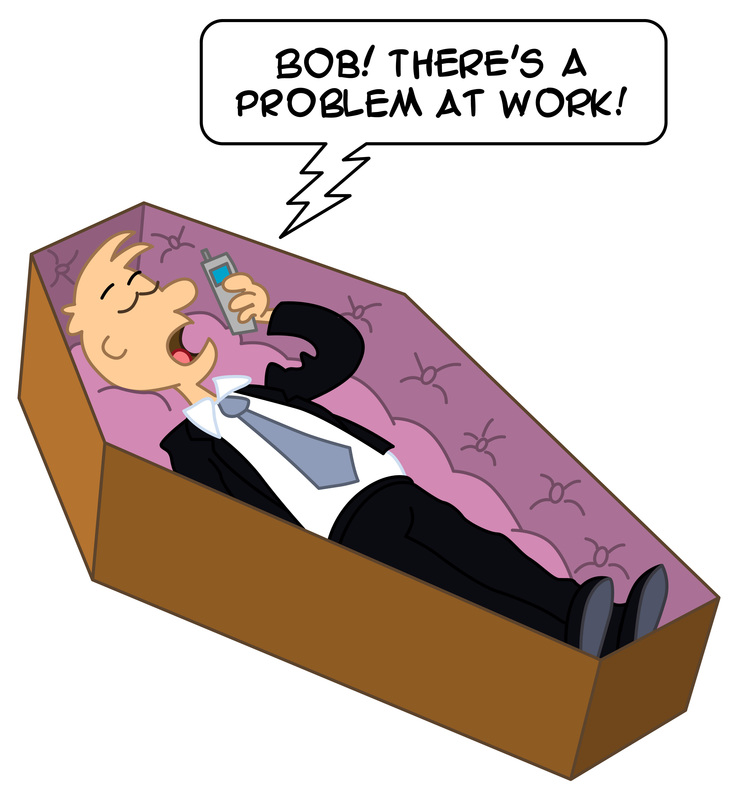 Some organisations rely on breeding workaholics to get the job done at whatever cost. They stand by and watch as their employees burn out, caring little about anything except for getting the job done. 1. I’m keeping the boss happy – If your boss is allowing you to continue to work endless hours and expects you to respond to his/her emails at the weekend, evenings and while on holiday, then they care very little about you as a person. You’re just resource to get the job done. Did you teach your boss to expect this by allowing it to happen? You’ll ultimately drown in your own unrealistic expectations of yourself. 2. I’m a hero – Workaholics perceive that they are the heroes of the business. Super human beings who regularly save the day! You don’t look for ways to be more efficient because you feel like a hero: What would THEY do without you? (Seriously…They’ll find some other sucker!) You talk about how tired you are and how little sleep you get with pride. The number of hours you work becomes a game of comparison and competition instead of focusing on how productive you are! 3. I’m better than others – Your ego feels superior over others who only work regular hours. Those people who don’t stay late feel inadequate because they work reasonable hours. They feel guilty because they get to go home on time and have a life. You are unknowingly creating poor morale in those around you by your behaviour. If you’re the boss others may feel obliged to follow your role model. You grind everyone into exhaustion. This isn’t clever – it’s stupid! 4. I accomplish more – The truth is that workaholics don’t accomplish more than anyone else. They just work more – usually to the detriment of their personal life. Research has proven that constantly working longer hours and less than six hours sleep per night makes you ineffective – FACT! The longer you work the more chance you’ll make mistakes because you’re tired. It’s okay as a one off but it’s not sustainable. When the burnout comes (and it will) it hits you much harder, possibly with serious side effects. Fixing a problem by throwing more hours at it isn’t the solution. You lose concentration the longer you work. Your decision-making ability is impaired and you lose focus of what’s important. Your emotions are evoked and you may say or do things out of character. 5. Successful people work long hours – Most people work longer hours occasionally. Successful people live to their values and have balance between their working and personal time. They set and maintain boundaries so these don’t blur into each other. Workaholics don’t know when to stop – They are driven by perfectionism and attention to detail. The real hero is the person who has learned how to be productive during the day and get things done. They are the ones who are at home on an evening relaxing, living their life and not being all consumed by WORK. That is truly a good and necessary article…wrote the workaholic who is just about to have recovered from an abusive amount of work over Christmas. I have the book 4 hour work week at the bedside table just now. Thanks Ulla – Glad you’re recovering too! The 4 Hour Work Week is a great book! Great post, Elaine. I’m lucky that I don’t have the workaholic gene. I wish that people would stop harming themselves (and others) in that way…it really is harmful. And from my short bouts of workaholism — at end of semester in university, for example –, I know that even though there can be a sense of satisfaction from the accomplishment, it NEVER compensates for the sacrifices made. PS I borrowed the 4 Hour Work Week from the library, I think I’ll read it now! Thanks Natalie. Enjoy reading Tim Ferriss’ book it’s awesome! So how do you stop the cycle? I am working 80hrs a week- do I have to quit my job to break the cycle? 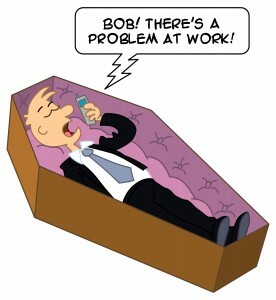 I am trained in corporate finance- did I dig my own grave with carreer choice? Hi Tina – Quitting your job is one option, but there are other strategies you can use to step into your power, become the leader with your self-management, set some boundaries and balance a successful career. It’s hard to give advice here. If you’d like to talk some more I’d love to get on the phone/Skype with you. Email me at info@elainebaileyinternational.com if you’d like to set up a call. Take some time out this weekend to relax and do something for you. ← How serious are you about personal development? Seven ways to grow your own success!